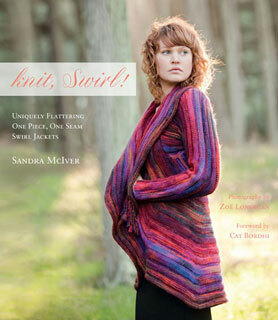 Knit Swirl books are now in stock again. Our first Swirl workshop has just started with the second series starting on Saturday March 2nd. The workshop runs over a two month period so you have a chance to knit on other projects in between. We review the book, choose your size, choose your yarn, get you started and keep you going, right to the end!! We want you wearing this gorgeous jacket this Spring!! Here's a lovely yarn for knitting. The solids and multis are such pretty colours. Super for children's clothing - really nice for summer weight cardies.... and the price point hits the mark!! My little Danish spinning wheel has been part of my shop decor since we opened. I am proud to say that I now have my very own Haldane spinning wheel . It's a beauty previously owned and loved by a 93 year old lady named Alma. She has taken very good care of this beauty and I am pleased to bring it back to life. With the help of Cheryl the spinner, I will launch on my new adventure starting with a drop spindle lesson(s) ++ and move onto the wheel from there. So, fibre and I will become better friends. Of course not to have any idle time, Cheryl the weaver will teach me the ins and outs of weaving on my new Dorothy loom, arriving Monday next week.... until then, I will be reading and you tubing my new techniques. The colours were gorgeous - the yarns were textured - and we now have favorites!! Turtlepurl = Silk merino blend 50/50 - Silky Turtle toes - summer weight lace shawl - to die for!! These felted clogs by Bev Galeskas so so thick & warm - you can't just make one pair!! We are hosting a Felted Clog class with Donna B - She's the expert for sure with over 150+ pairs made to date. She knows the pattern off by heart, in fact her 9mm Denise needles are super glued together. She keeps them ready to go for her next pair. 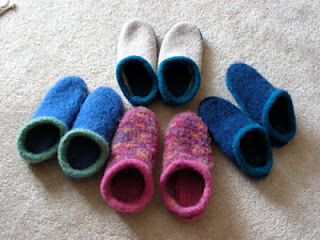 Grab your gear and head on over to Grey Heron for your intro to making Felted Clogs. We review the pattern, help you choose your yarn, get you started - and keep you going until the clogs are finished. We teach you about felting, offer ideas on needle felting a pattern on the top and teach you how to make your suede bottoms. Fee for class: $25.00 for 2 hours - What a deal!!! It is so much fun to receive the Spring knitting magazine issues. 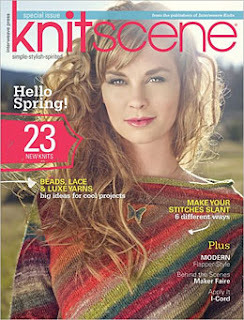 Yesterday the Knitscene Spring arrive full of beautiful styles in gorgeous colours. Let start small and work our way up from there. A cuff down sock - learning the parts and pieces as we go - the heel flap, heel turn, shape gusset, right down to the toe decreases and finishing off with the famous "kitchener stitch" toe. All this for $30.00 per person. We now have on-line shopping available for your convenience. Browse through the pages to discover new products and existing yarns for purchase. Paypal processing is available too. You can purchase interchangeable needle kits from Knit Picks and Denise. We will have a selection of Knit Pick needles up loaded for purchase very soon. Many yarns have been up loaded and many many more are coming on line each week. Looking for something specific? Let us know... we aim to please! !